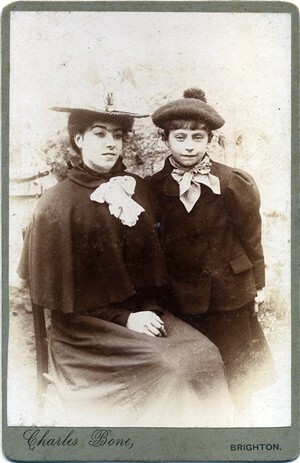 The photograph below was taken by Charles Alfred Bone, who was born in 1872 in Brighton. He married Annie Elizabeth Jupp, who was born c1876. In 1881, they were living at 7 Lennox Street. On the 1901 census, they are reported at living at 23 Whitehawk Road. Charles Bone is described as a photographic printer, aged 29. He was the son of a general labourer called Henry Bone (born c1836) from Funtington.